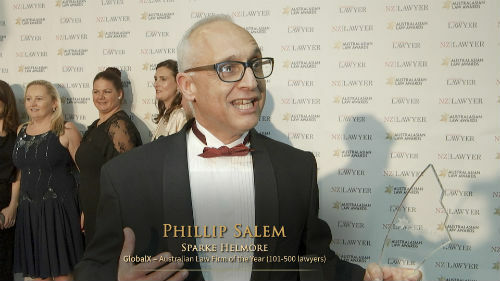 National firm Sparke Helmore is combatting the threat of broadening service offerings by accounting firms with the launch of a wholly-owned professional services company. Bright Sparke, designed as an innovation hub, is funded independently of the partnership and aims to deliver new, non-legal solutions to business issues through enhanced data analytics, process outsourcing, emerging technology and partnering arrangements. “It’s an opportunity to create new nonlegal revenue lines in a hyper-competitive market,” chairman Mark Hickey told The Australian. “We have to find ways of dealing with this ever-changing disruptive market. Two of the five potential business lines currently in testing have already been decided by the firm to be adopted. Hickey also said discussions with a major bank are under way but remained tight lipped about any definitive plans. “We are trying to take back some of the ground that law firms as a whole have lost over the past 20 years because of the way we are structured and the way we do business,” Hickey told The Australian. “One or two of those might involve a joint venture with another profession or another operator that can provide what we, as lawyers, can’t,” he said. Nicholas Adamo joins the firm from Ernst & Young as the firm’s chief innovation officer and will act as CEO for Bright Sparke. He will also chair the firm’s Innovation Committee. “As an entrepreneur, clients have always been at the centre of innovation for me,” he said.